Javed Zameer Ahmed, President DHA Estate Agents Association (2nd for Right) and Nasir Bilal Director Business Services Division, Mobilink (Far Right) at the launch of CUG services for the Association. 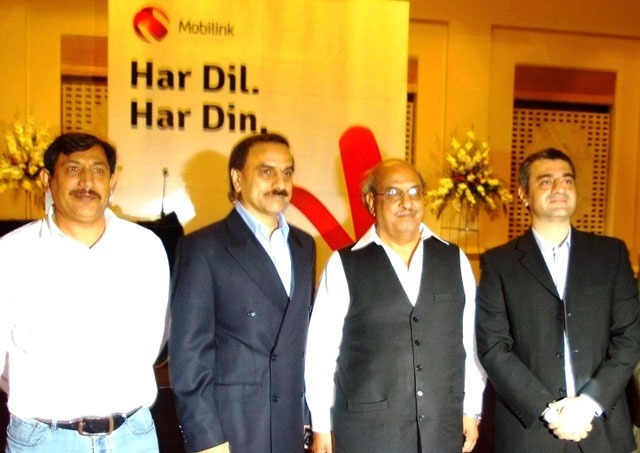 Mobilink says that it has introduced a customized communication solution for DHA’s Real Estate (RE) Agents Association in Lahore. The solution, based on Mobilink’s Closed User Group (CUG) model, will offer the members of the Association with an economical means to facilitate communication within the group. The CUG service will enable quick access to the employees of the 380 member companies of the association who will be offered up to 1000 free minutes per month. For members with greater frequency of calls within the association, a bundle of 5000 minutes per month is being offered for highly discounted prices. The CUG member will also be offered SMS and voice bundles as well as customizable package plans. The CUG offers the Association’s members better control over the usage and ownership of their official cellular connections. This offer will also serve the telecommuting need of over 2,000 members to help support the real estate business community in offering better services to their clients.